So... This was supposed to auto-post on Tuesday and things were so hectic, I didn't have time to check. Ack! 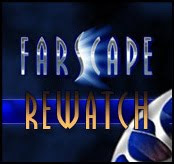 So, I say things about posting early in the week which now don't make sense, but that's ok. Here are 5 awesome things for your Tuesday enjoyment. I think I need to get back to posting at the beginning of the week because my last few entries have been seriously light on the comments. Is that a good plan? 1. 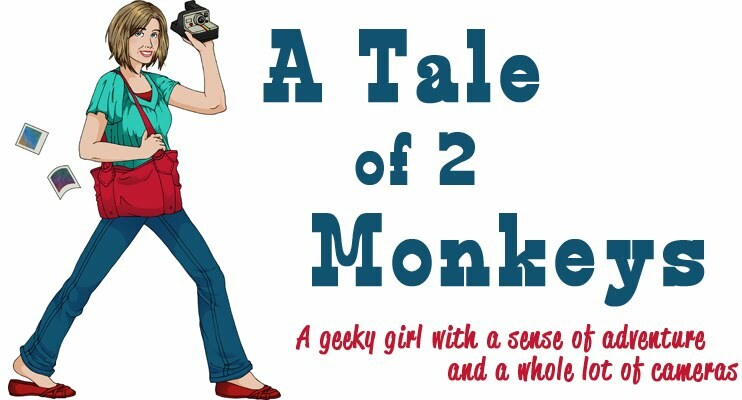 The Fables series. I'm 100% hooked. Who else has read these? 2. 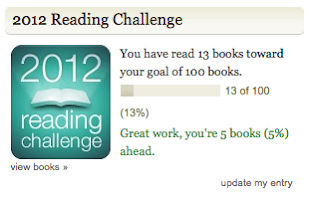 The Goodreads reading challenge, which I completely forgot about in December of 2011 and missed my 2011 goal (of 75 books) by one lousy book. I have set the somewhat lofty goal of 100 books this year, because what else would I do after I failed to meet last year's goal but raise it by 33.3%? Who else is doing it? 3. These bookends. I got them for Christmas and they are currently holding up all the pretty books on the mantle. I could not love them more. 4. 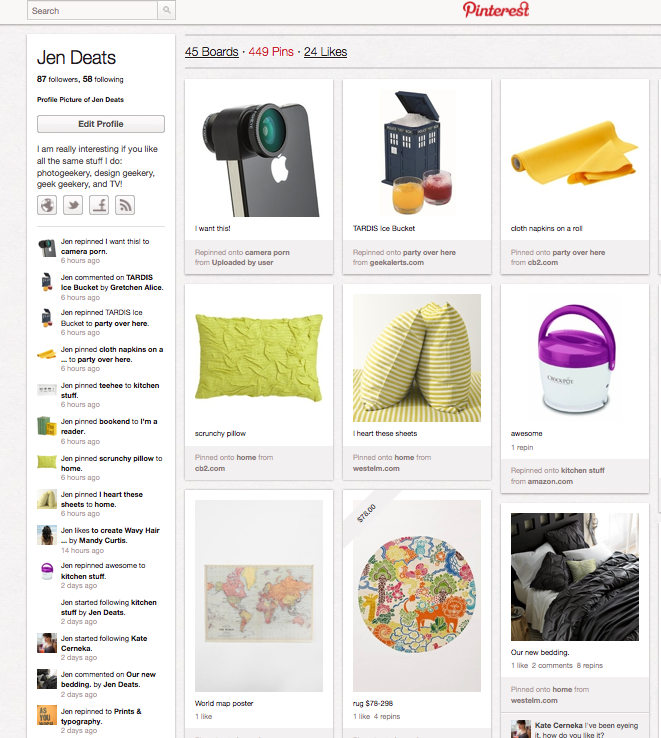 I'm getting back into pinterest again. 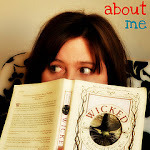 If you're not already my pinterest friend.... that's a problem! Follow me here. 5. The appreciation of the introvert, both in this Time Magazine Article, and the book Quiet. I'm loving it. 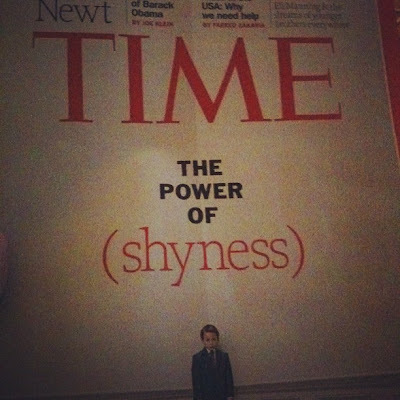 Power to the introverts! That "Time" article was great. The biggest problem with extroverted people misunderstanding introverts is that many of them are simply incapable of understanding that being introverted does not mean anti-social. They always thing something is wrong, or that the person is depressed or something. 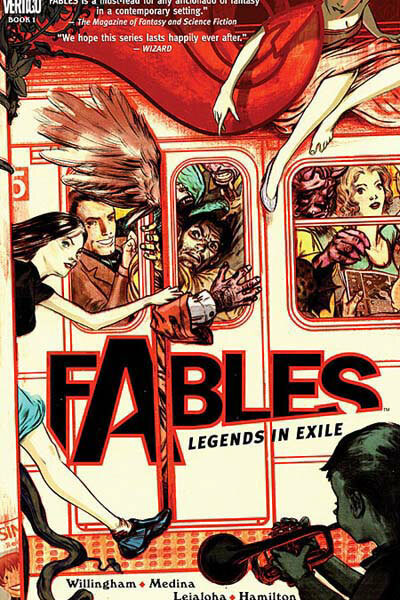 Also, "Fables" is awesome. I'm glad you're enjoying them!